My subscription boxes for the month have started! My first one each month is always my Phone Case of the Month. I really love being able to change my case every month. It is fun, and my kids love seeing all of the new cases. 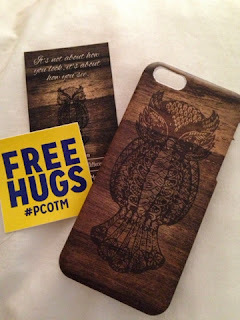 This month, we got the owl case we have seen many others receive, and we think it is just perfect for Fall. The best part of Phone Case of the Month is it is only $10 a month, but your first month is $5 when you use one of the links from this post! A great way to test them out! Right now they have cases for different versions of iPhone 4, iPhone 5, and Samsung Galaxy. I hope they start with cases for the iPhone 6 before I upgrade! !